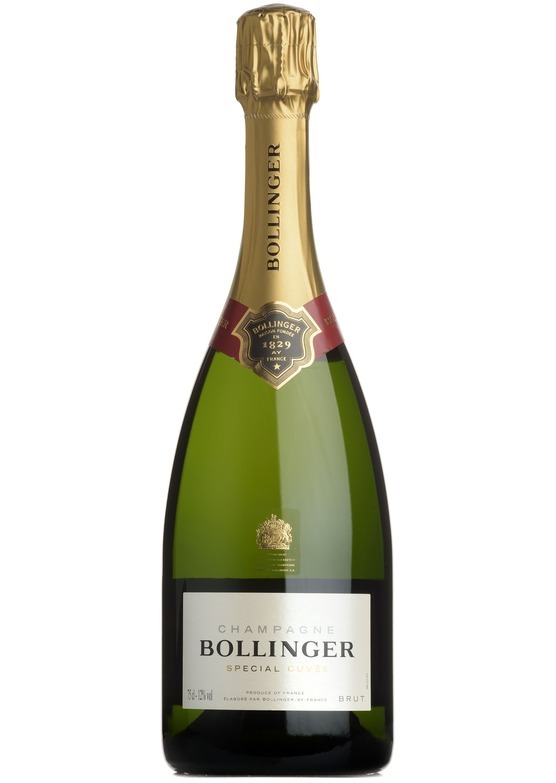 Bollinger Special Cuvée is the result of the delicate blending between harvest grapes and a majority of reserve wines, part of which have been aged in magnums for 5 to 15 years. The Special Cuvée has a golden colour, which is distinctive of black grape varieties. On the nose it possesses a beautiful aromatic complexity, with ripe fruit and spicy aromas and hints of roasted apples and peaches. On the palate there is a subtle combination of structure, length and vivacity; bubbles like velvet; pear, brioche and spicy aromas and notes of fresh walnut.